Images from Colors of Courage! For Breast Cancer Awareness month we chose to highlight an inspiring survivor and her caregiver who are facing her journey together with love, faith and a positive attitude. I love to celebrate. My friends know that PETscans and champagne go hand and hand. However, I feel the breast cancer movement has become too much of a celebration… to the point that it masks the reality. The general public thinks breast cancer is something to be celebrated. That we are winning this “battle.” We forget people are dying. 111 EVERY Day. This is not something to celebrate. When we hyper focus on celebrating survivors and beating cancer we unintentionally alienate those who aren’t “winning.” Infact, the focus on survivorship and beating cancer has become such a prominent symbol for breast cancer that those dying of breast cancer feel alienated and forgotten. They feel so strongly that the breast cancer movement doesn’t represent them that they created their own ribbon. It is teal and blue with a small bit of pinkin the center. I find it incredibly disappointing that the people suffering the most, enduring heart wrenching devastation and painful treatments as they face death feel isolated from the very movement that set out to help them. They shouldn’t feel forgotten – they should be at the heart of the movement – represented by the most brilliant, deepest pink of all. I have avision that in addition to celebrating all the people who beat cancer there will be a colossal shift to rallying around those dying. I liken it to the AIDS movement in the 1980s. During the early epidemic, 40,000 men were dying every year—people marched, made noise, and got the drugs to keep them alive. The community rallied around the dying demanding more money for research to help them, demanded people see the heart wrenching pain of the disease. They didn’t just rally around the healthy people and show pictures of smiling people who beat AIDS… they focused on the weakest and the sickest and demanded research to help them. It is estimated that in the US, only 2-3% of all funding for breast cancer research is dedicated to metastatic breast cancer(1), even though 30% of breast cancer cases become metastatic. This is not enough research aimed at finding new treatments and enhancing quality of life for people like me, living with metastatic breast cancer. 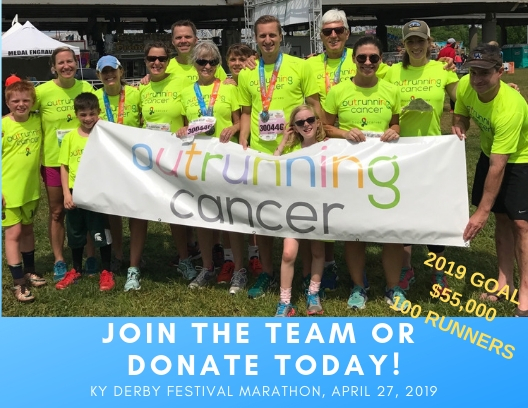 That’s why I helped found an organization called Twisted Pink whose sole purpose is to fund metastatic breast cancer research and why my organization, Hope Scarves, now donates a portion of every dollar we raise to metastatic breast cancer research. I challenge other cancerorganizations to broaden their efforts to support research as well. I dream of a day when the breast cancer movement widens the spotlight beyond celebrating survivors to shine light on those for whom the fight is never ending. That all the survivors will turn inward toward those facing metastatic breast cancer and lift them up and demand more research and support. I dream that when you think of pink you don’t think about celebrations alone, but rather a deep,vibrant pink force for change that will lead to better treatment options and improved quality of life for those with advanced disease. I dream of a day when women no longer die of this disease… and that I live to see it. It’s a big pink mountain, but I love a good climb! 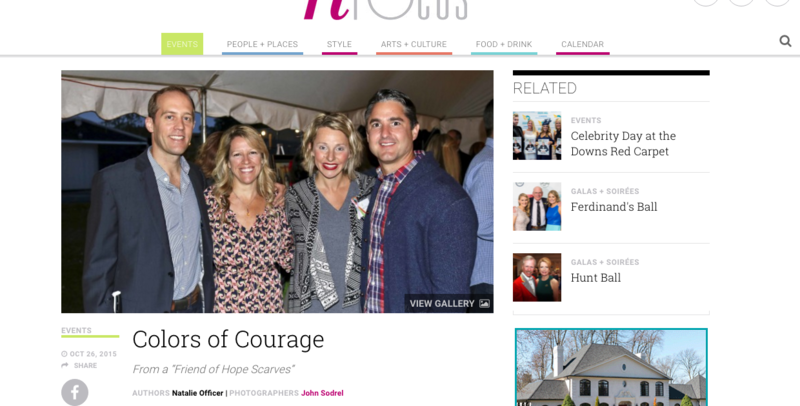 Last weekend Hope Scarves hosted our fourth annual event, Colors of Courage. This is the biggest fundraiser of the year for Hope Scarves and an event I look forward to each year for many reasons. First of all it reminds me each fall about the time in my life when I was just launching the organization. 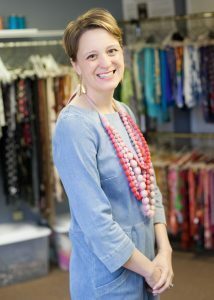 The first Hope Scarves event was intended to introduce the organization to our community. We gathered with about 150 folks in the backyard of a dear friends house. The gathering was planned with about 10 of my friends and was a great party. The support we received that evening created momentum for Hope Scarves to become a strong nonprofit organization. Now, four years later, we had over 500 people! The event is still planned by The “Friends of Hope Scarves” which has grown from 10 to over 40 volunteers. The event is intended to be a backyard get together with friends. And even as we have grown I am so proud to have maintained this comfortable, organic feel. This year we added a special time of reflection where we took a break from the party to remember those currently in treatment, especially those facing advanced stage disease. A group of survivors – who have all either received a Hope Scarf or donated a scarf or story to Hope Scarves- held candles while my friend Carter sang a beautiful Irish blessing called “Long time Sun.” Following this moment of reflection we held a special appeal asking our guests to consider giving directly to Metastatic Breast Cancer research. I am so proud of our guests who in about 5 minutes gave over $15,000 to research! Including one individual who made a $5000 challenge gift to match every gift up to $5,000! It was humbling to look out over the guests and see the response to supporting research. I am proud for Hope Scarves to expand our mission to support research. The event raised nearly $125,000 in all and despite the rain – was a huge success! I am so thankful to feel good enough to pull off this big event again this year! 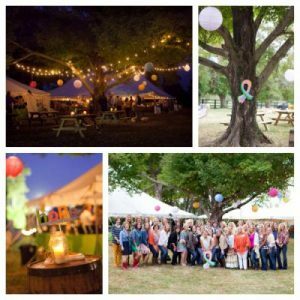 Moving picnic tables, rushing around to confirm auction items, networking with sponsors, coordinating volunteers – I love it! It’s so busy (and stressful at times) and I treasure every moment! You can see pictures from the event taken by Andrea Hughes Photography. Hope Scarves and my personal journey are one in the same. I’m glad to share this quick update on this big milestone and look forward to sharing more positive information about both Hope Scarves and my (hopefully) continued good health. I am so thankful to all my friends who helped pull off another great event and to our donors, guests, sponsors and more! Our family has a lot to look forward to this fall as we continue our dance with NED… soccer tournaments, Alabama football game, trip to Michigan, girls trip with my high school BFF and more. In a couple weeks I will run in the 200 mile Bourbon Chase – a relay race throughout the state of Kentucky. I’m so excited to be able to run 7, 5 and 4 miles over two days. Each step I take will be with gratitude for my health and in full awareness of those facing metastatic breast cancer. There may be a day when I can’t run. But today is not that day. or tomorrow.